Who said electronic engineering can’t be funny? (Someone who has never read this publication!) 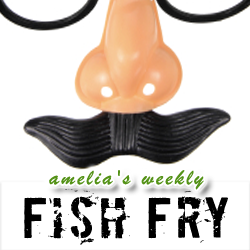 In this week’s Fish Fry, we check out a brand new online television show that that aims to bring the saucy style of late night television talk shows to our engineering community. My guest is Brian Fuller of Cadence Design Systems, and we chat about why Cadence decided to make a humorous engineering-based talk show and how they are going about the business of making EE fun. This week we unravel the mystery of choosing the right IP vendor for the right job – it’s trickier than you think. In addition, we’ll give everyone the chance to win a Starter Kit for PIC24F Intelligent Integrated Analog courtesy of Microchip Technology. You can enter to win by commenting on this week’s Fish Fry page.